Blog What is the best anti virus software for Windows PC Computers? A question that we get asked often by our customers is which anti virus software they should be using on their Windows PC Computer. We decided it was time to write a guide once and for all on how to best protect yourself from viruses, malware, ransom-ware, adware, popups and the like. As always, if you are looking for PC Repair in Sacramento, please do not hesitate to contact us! Just because the software costs money doesn’t mean it is any good. In fact, some of the absolute worst anti virus software on the market costs money. The worst culprits are McAfee, Norton, and AVG. There was a time (maybe 20 years ago) that these companies made half way decent anti virus software, but your computer deserves better. All three of these anti virus companies make garbage software that will slow down your machine, hog resources, conflict with other software processes, and most importantly miss out on protecting you from easy to detect infections. Even if you are currently paying for a subscription to one of these services, uninstall it immediately and call the remainder of your paid subscription a wash.
Having more than one anti virus software running at a time is bad for your computer’s performance. You might think having a few different programs installed simultaneously would offer you additional protection… but it is actually quite the opposite. All this will accomplish will be slowing your computer to a point that it feels unusable. You should never have more than one anti virus software installed at a time (though you can combine it with a anti malware software… more on this later). 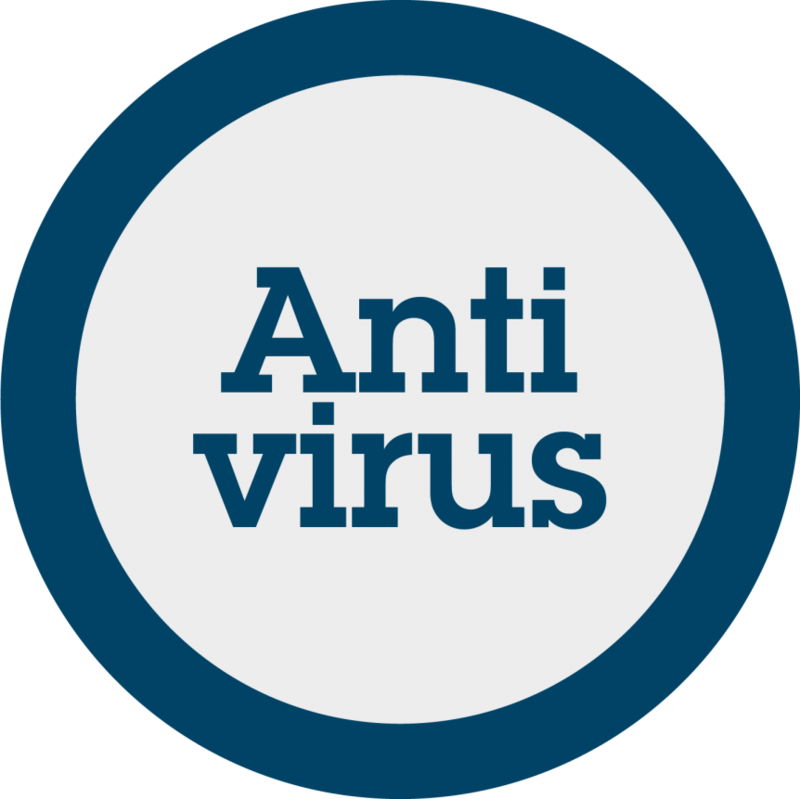 No anti virus software will catch every infection, every time. No matter which anti virus software you have, none of them are perfect. Hackers and adware companies are constantly doing everything they can do develop malicious software that can go undetected or skip by the newest update to your anti virus software. In the end how you interact with your computer and the choices you make is the likeliest indicator of whether or not you will some day become infected. This is a complicated subject unfortunately and one we can’t go into in this article. Practice makes perfect however after years of experience on which emails to open and which to ignore, and which files to download / open and which to ignore etc. With that said, not all anti virus software is created equally… which is why we have our recommendations! Which anti virus should I use? Our favorite AV software right now is actually free and made by Microsoft. It is called Windows Defender (also known as Microsoft Security Essentials). It comes automatically installed with Windows 10, though will need to be installed on earlier versions of Windows. In our experience, no anti virus software can compete with it as far as actual viruses are concerned… and the fact that it is free is a nice bonus. It doesn’t however have the most incredible malware / ransom-ware protection, which is why we recommend combining it with some anti malware software as well. Which Anti Malware software should I use? Our favorite anti malware software right now is Malwarebytes. Malwarebytes has both a free and a paid version. The free version is great, but you have to run scans manually and there is no real time protection. The paid version, at $39.99 a year can actually protect you against attacks in real time. Malwarebytes and Windows Defender are able to work together without clogging or weighing down your computer, and in our experience offer you the best combined protection of any two programs currently available. As a nice bonus, with this combination of protection you would have been protected in advance from the two most recent ransom-ware scares that swept the globe and made national headlines. As always, please contact us if you have any computer repair related questions. We are yours! Yoga Bear Computer Repair is the #1 ranked onsite and mobile computer repair company in Sacramento, CA. Serving all of Sacramento County along with surrounding areas, we offer same day computer fixes for both hardware and software issues. We service both Apple Macboook laptops and desktops, as well as all Windows PC computers. Founded in 2011 and rated #1 on Yelp and Google, our computer technicians work hard to make your computer repair experience as pleasant as possible. Please visit our web site at http://www.yogabearpc.com or call us today at 916-800-3035 to set up a same day appointment.